Motorola has also released its latest wireless audio receiver – Moto Stream. 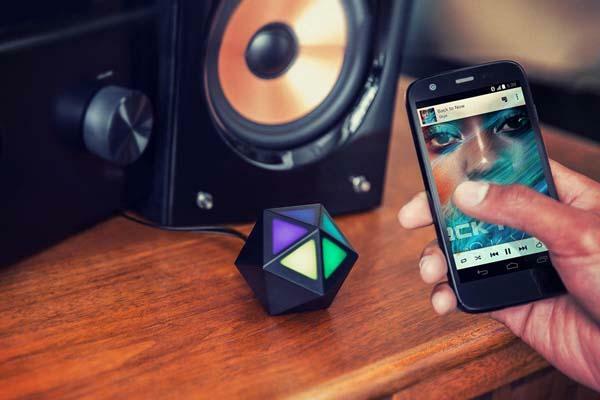 Want to turn your home speaker wireless for streaming music from your smartphone or tablet? The wireless receiver may be a nice solution. 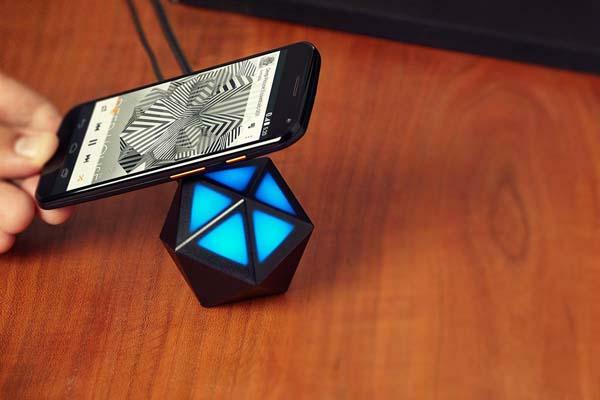 Moto Stream is a portable Bluetooth audio receiver that measures 60 x 69 x 57mm and weights 100g. 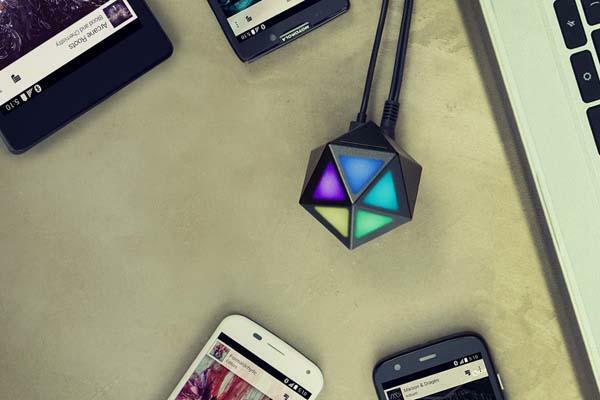 As shown in the images, the audio receiver sports a portable and interesting multi-faceted design and comes with 5 charming colored LED indicators in order to show you 5 mobile devices simultaneously connected with your speaker wirelessly. Using its 3.5mm audio jack and included 3.5mm to RCA connector, you can connect Moto Stream with your existing speaker system, and turning it into a wireless speaker that supports up to 5 simultaneous Bluetooth connections. Apart from that, built-in NFC lets you more easily pair your speaker with NFC-enabled smartphones. Moto Stream wireless audio receiver is priced at $49.99 USD. If you like it, jump to Amazon for detailed introduction or have a look at the following demo video first. Additionally, also don’t miss other nice options via following tags.